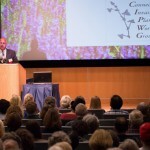 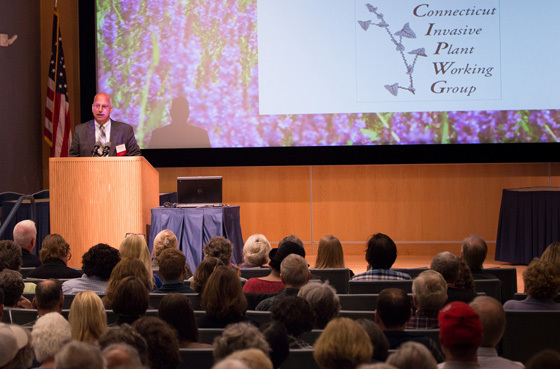 Read the Storrs-Mansfield Patch Article on the Symposium. 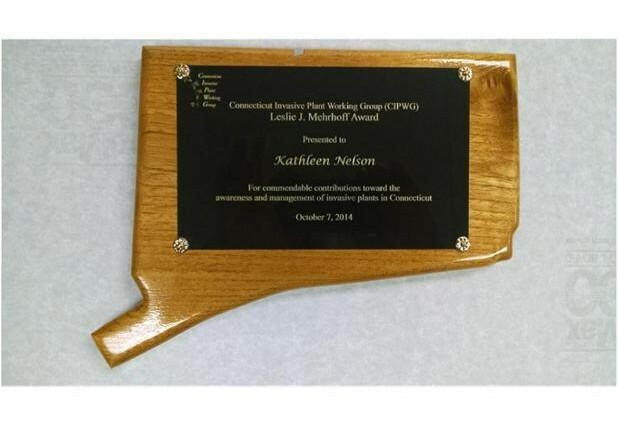 The Leslie J. Mehrhoff Award was presented to Kathleen Nelson this year. 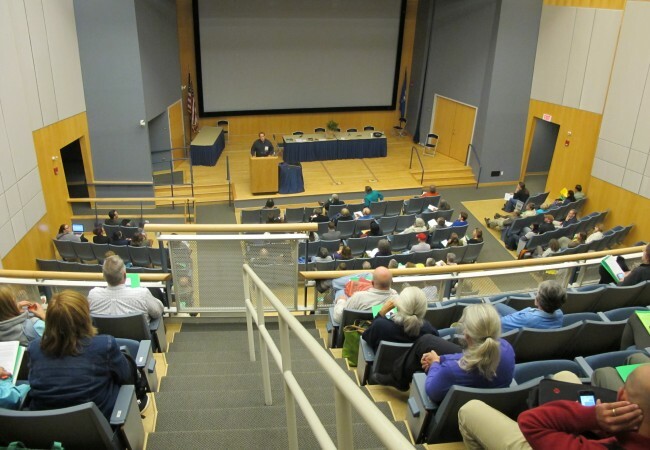 Dave Gumbart (The Nature Conservancy) delivers the closing remarks. 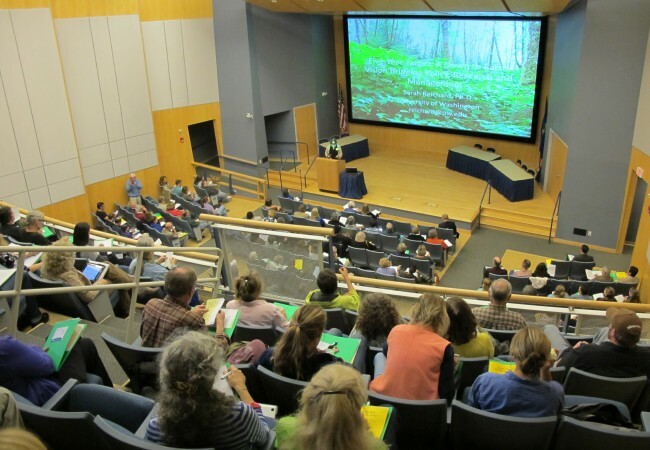 Peter Picone (DEEP) delivers a talk titled, "Enhancing Habitat for Wildlife on Small and Large Scales: Native Plants and Wildlife are Inextricably Linked. 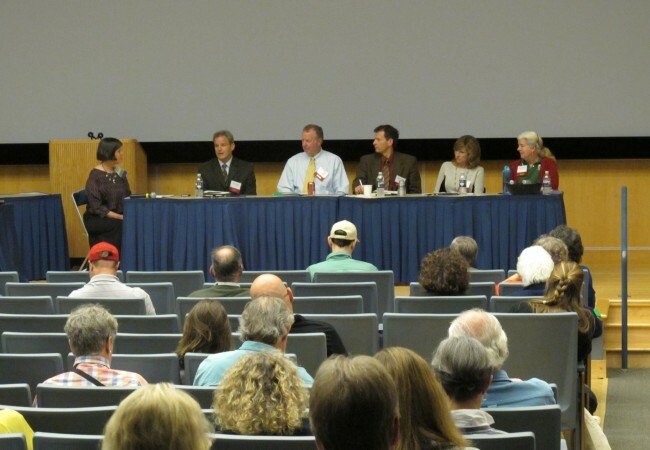 A panel of experts discuss the topic "Priorities and Partnering for Invasive Plant Management. 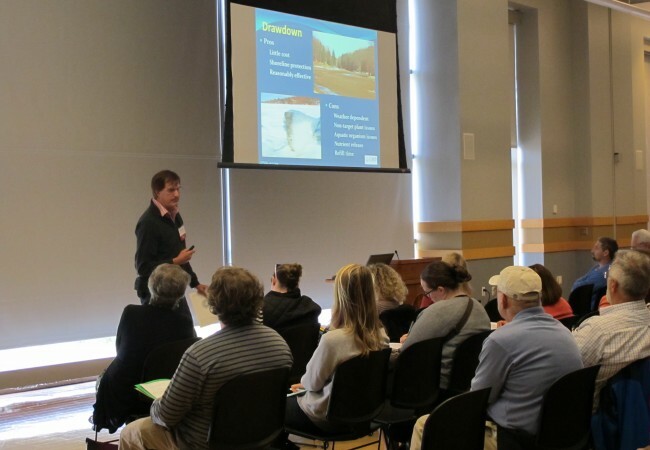 Greg Bugbee (CT Agricultural Experiment Station) delivers a talk entitled, "Invasive Aquatic Plants - The State of the State". 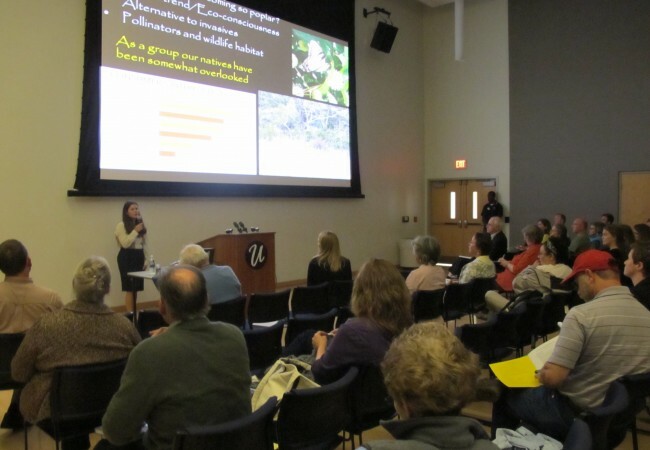 Jessica Lubell (University of Connecticut) delivers a talk entitled, "New Native Shrubs to Replace Tough Invasives". 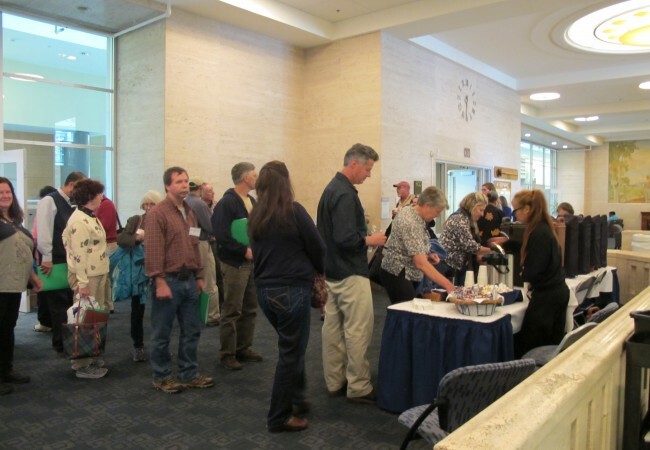 Lori Benoit (U.S. 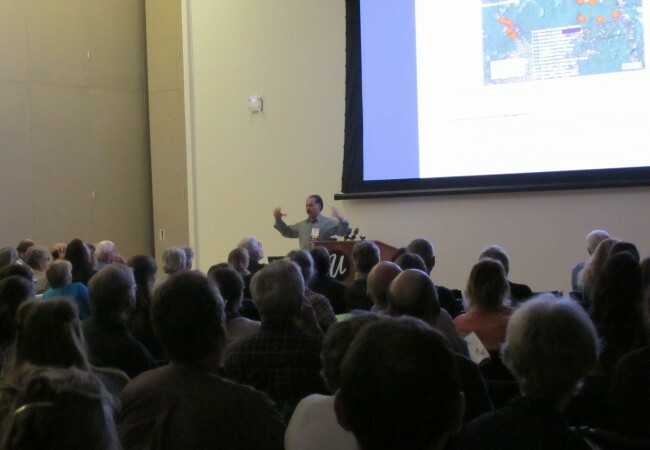 Fish & Wildlife Service) delivers a talk entitled, "Herbicide Resistance in Hydrilla and Other Aquatic Plants". 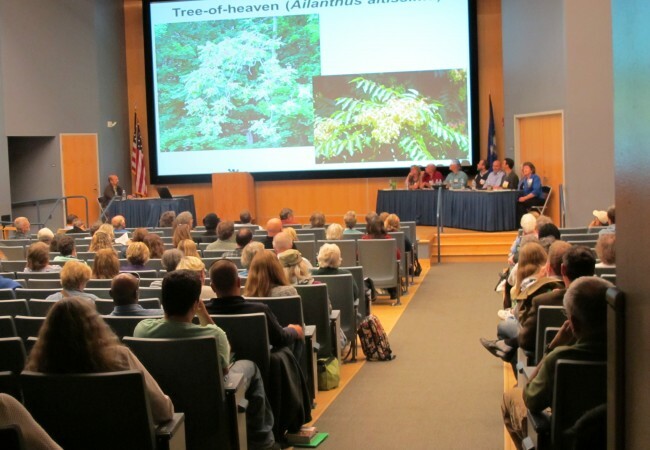 A panel of experts discuss tree-of-heaven (an invasive plant) during the session titled, "Identification, Management and Alternative Plants". 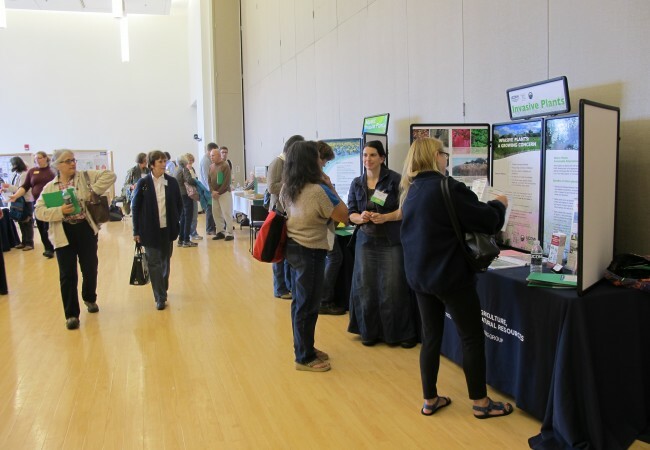 Attendees discuss invasive plant topics with the exhibitors. 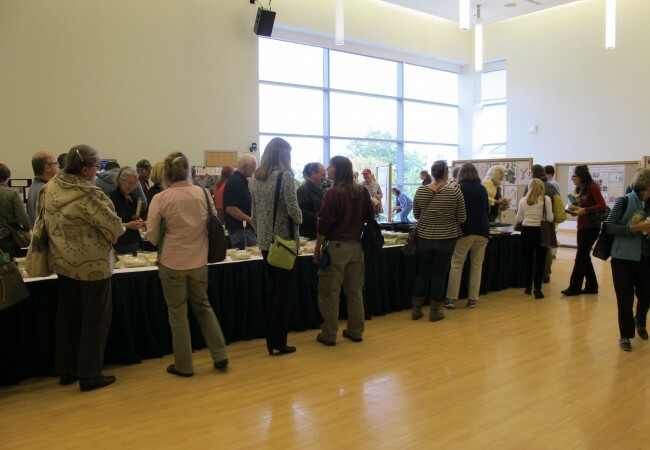 Guests grab their lunch and view posters during the lunch break. 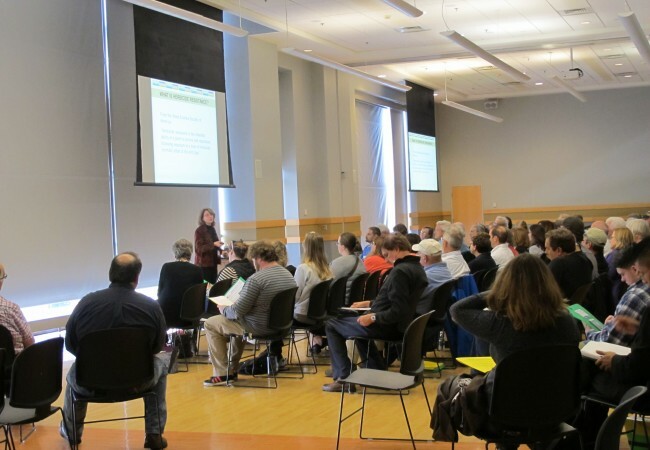 Sarah Reichard (University of Washington) delivers the keynote address entitled, "Five-Year Target: a down-to-earth vision bridging policy, research and management". 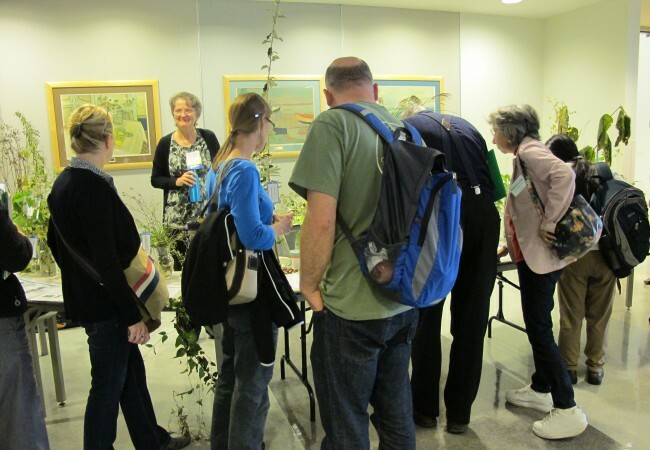 Rose Hiskes (CT Agricultural Experiment Station) answers questions about the invasive plant specimens on display. 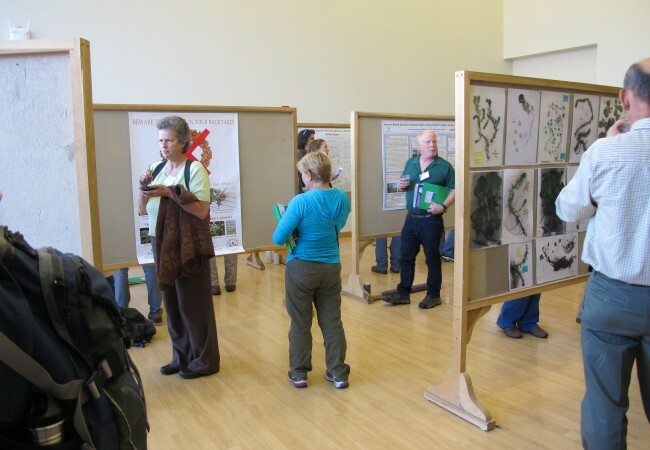 Poster presentations are viewed by attendees.